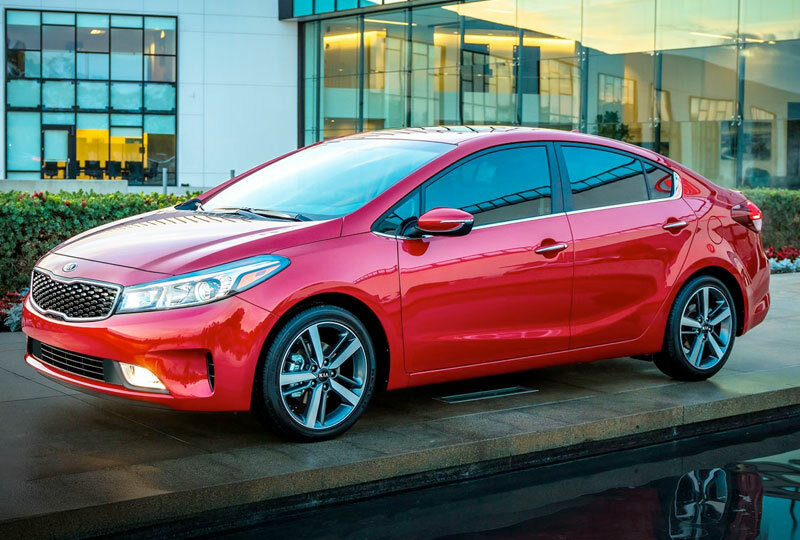 The 2018 Kia Forte in Stuart, FL – serving Okeechobee, Fort Pierce, Port St. Lucie, Vero Beach, FL, and the entire Treasure Coast – is the compact car of your dreams. With high-style and great features, there’s plenty to love. The signature tiger-nose grille makes a lasting impression, and the chiseled body of the 2018 Kia Forte is certainly a crowd pleaser. Each drive is powered by the reliable 2.0L I-4 Atkinson Cycle engine. As you head towards your destination, a worthy cabin keeps you perfectly relaxed. Cloth seating, Bluetooth wireless, and available features, like the UVO infotainment system, provide all the comfort and amusement you need. The compact design doesn’t mean it can’t keep up with your needs. A 60/40 split-folding rear seat allows you to customize your cargo capacity and find room for everything you need to carry. Today is a great day to buy a new Kia. We’ve got a huge lineup of the newest models, and when you buy a new Kia with us, you’ll get free tires and batteries for life! Call us today at 866-742-4262 to schedule your test drive or visit the dealership at 3131 SE Federal Highway, Stuart, FL 34994. We’ll show you how Bev Smith Kia of Stuart is saving you the most on the Treasure Coast with a 2018 Kia Forte! Take a look. And then another. The Forte's distinctive styling featuring Kia's signature tiger-nose grille, available LED positioning lights, and available 17" alloy wheels means getting noticed just goes with the territory. Every Forte offers the very latest breakthroughs in automotive technology, ensuring you peace of mind while offering the latest in both convenience and entertainment as well. Every journey brings the expected and the unexpected. And every Forte is designed to deliver a precise response during both. 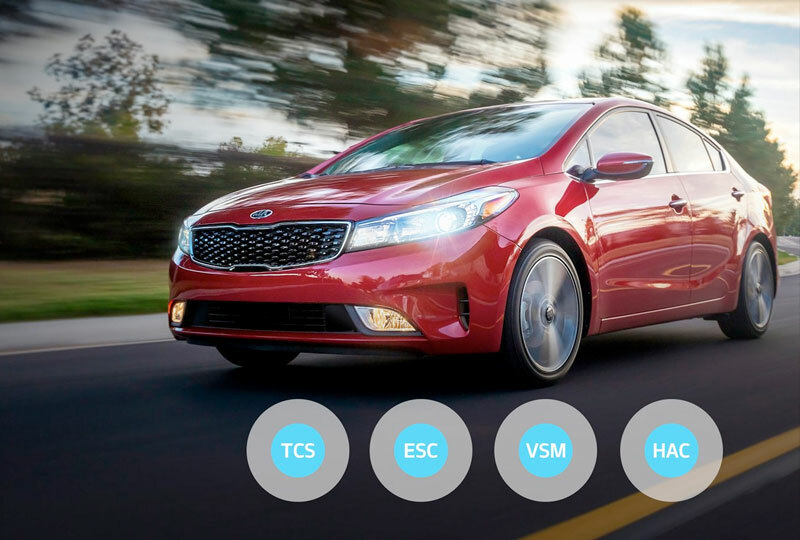 Featuring active safety systems that work automatically when you need them, the Forte helps give you enhanced control on any road. Rear-Camera Display included in the LX Popular Package, standard on Forte S and EX. Rear-Camera Display shown with optional voice-command navigation system. 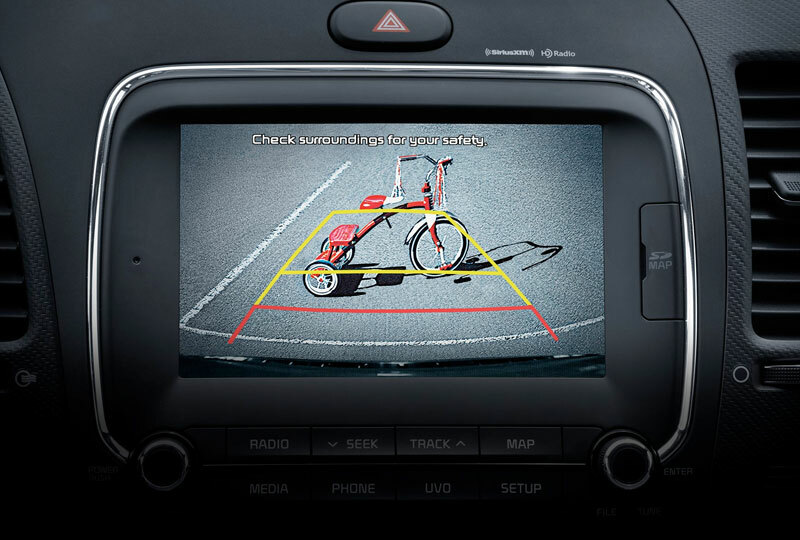 The Rear-Camera Display is not a substitute for proper and safe backing-up procedures. Always drive safely and use caution when backing up. The Rear-Camera Display may not display every object behind the vehicle. 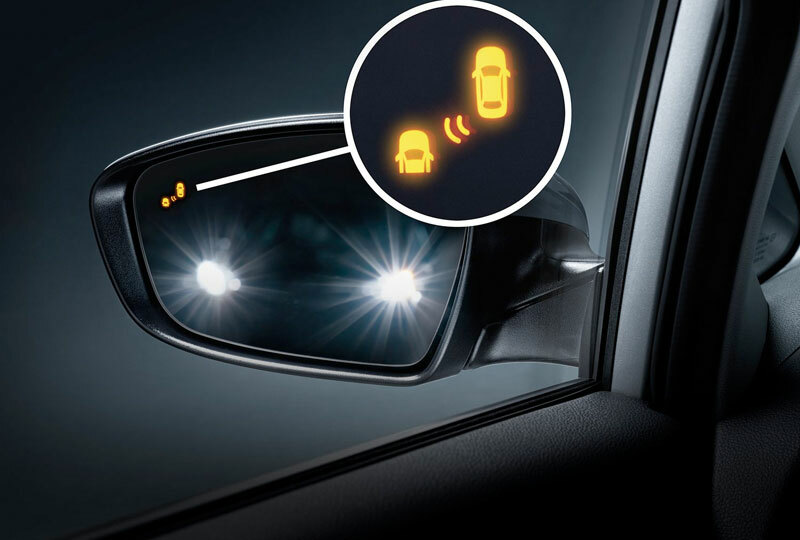 Blind Spot Detection (BSD) included in the S Technology Plus Package. Standard on EX. Rear Cross Traffic Alert (RCTA) included in the S Technology Plus Package. Standard on EX. Blind Spot Detection (BSD) is not a substitute for proper and safe driving. Always drive safely and use caution when changing lanes. Blind Spot Detection may not detect every object alongside or approaching from behind the vehicle. Rear Cross Traffic Alert (RCTA) is not a substitute for safe driving, and may not detect all objects behind vehicle. Always drive safely and use caution. Forte EX shown with the Premium Plus Package. For maximum protection, always wear your seat belt. No system, no matter how advanced, can compensate for all driver error and/or driving conditions. Always drive responsibly. Even with the High-line Tire-Pressure Monitoring System (TPMS), always check your tire pressure on a regular basis with a digital tire gauge.